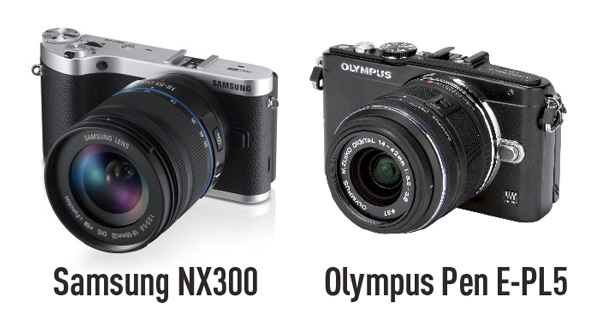 Three cameras provide the stiffest competition to the GF6: the Olympus Pen E-PL5, Sony NEX-3N and Samsung NX300. The Panasonic and Olympus cameras use the four thirds format, while the Sony and Samsung models are APS-C format, with the Samsung camera featuring the highest-resolution sensor at 20-million-pixels, compared to the 16 million pixels of the others. All three cameras are compact and light – weighing between 269g and 325g (with battery) – and are virtually identical in size, except for the Samsung NX300, which is slightly bigger. All have tilt LCD screens, though only the Sony NEX-3N is not touch-sensitive. The Panasonic GF6’s screen has the highest resolution, but no optional viewfinder is available, unlike for the Olympus and Sony models Meanwhile, the Samsung cameras is the only one without built-in flash, though its hotshoe will take an external unit. Overall, the Olympus camera feels the least ‘entry-level’.